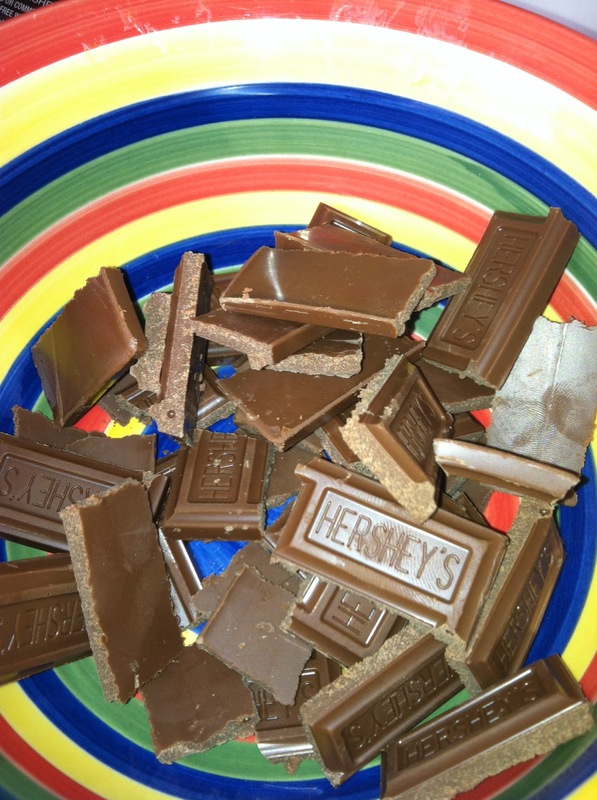 Chocolate craving + lack of chocolate at home = This recipe. 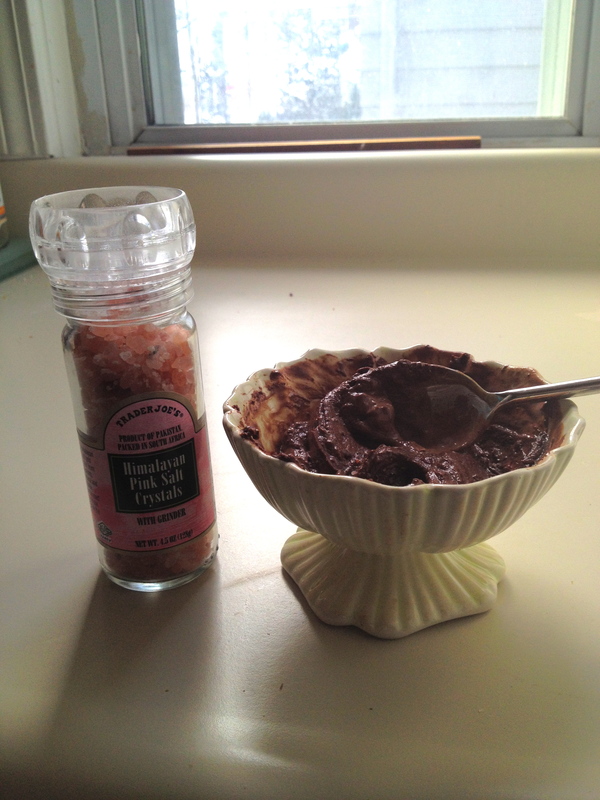 I decided I would try mixing the cocoa powder I had leftover from baking Christmas treats with some of the almond butter I had on hand. 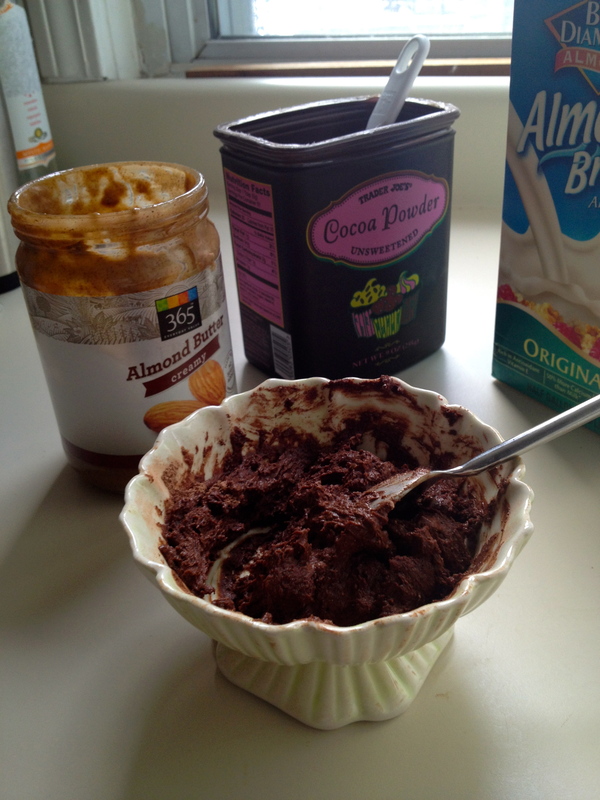 Mixed together I got a gross looking paste so I decided to pour some almond milk in to thin it out and somehow that magical combination turned into a decadent chocolate pudding. This recipe could not be easier. 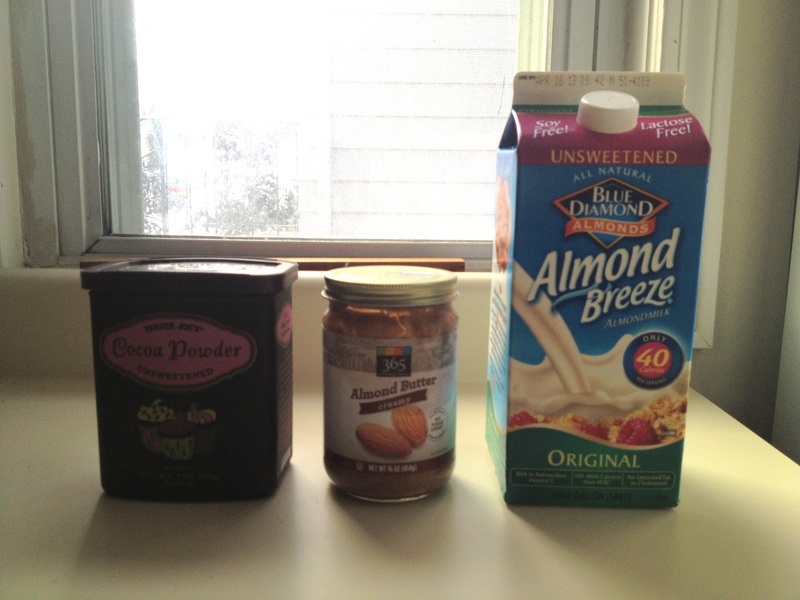 This is what the mixture looks like with just one tbs of almond milk – it is more like a spread so if you’re thinking you want a sort of nutella substitute, stop here. I add a tiny bit of sea salt to deepen the flavor. Make sure you are tasting as you go, if it’s not sweet enough add some honey, agave, or maple syrup. 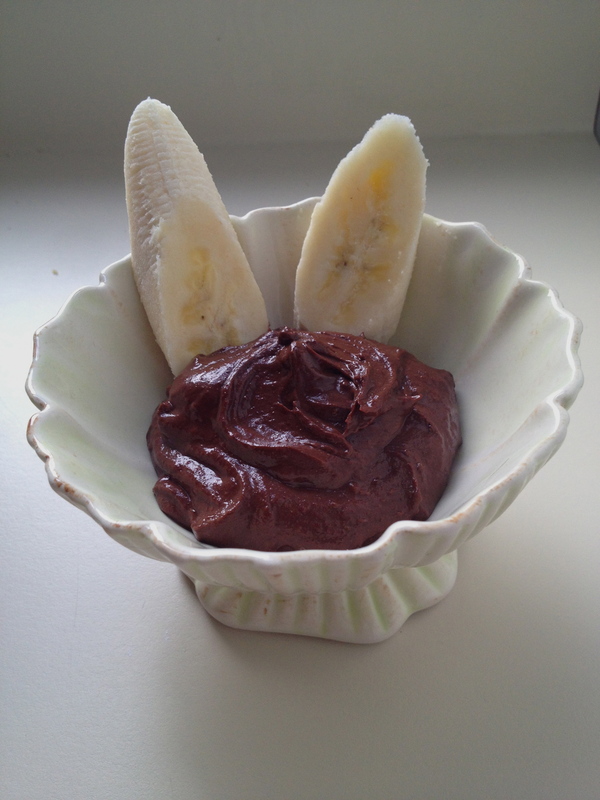 The pudding is delicious on it’s own but I like to dip my fruit in it (it makes me feel better about eating this for breakfast) – I usually use Granny Smith apples, but bananas, oranges, and berries all work very well also. This batch makes enough for 1-2 people, but is easily multiplied for larger groups. My DIY Christmas continues with some homemade body butter! I based the recipe off of the one I saw over at Wellness Mama, but I quadrupled the ingredients and made them holiday scented. Here are all of the supplies, which actually doesn’t even look like much! I purchased an entire essential oils kit because I wasn’t sure what scent I wanted to go with at that point. The recipe says to heat everything except the essential oils in a double boiler so I just used a heat-safe glass bowl, but as you can see it was very very full. I switched over to this large sauce pot about halfway through to cut back on spillage possibilities. This is what it will look like completely melted. It took about 20 minutes to get to this point and as long as the heat is on about medium, there’s really no need to even watch it – so simple! This is where I added my essential oils because there was no direction in the recipe for when to add them. Once everything is melted, the recipe says to let the mixture cool for about 15 minutes before popping it in the refrigerator to cool longer – I just went straight to the fridge and had no problems. It will take longer than the estimated hour to set up though, so keep an eye on it. You want to take it back out of the fridge once it is almost hard, as you can see above I tested it with my finger and it should have a little give but still be a little soft. Once the mixture has reached that point, you can take out your beaters and start whipping the body butter to your desired consistency. The mixture will warm up and melt a bit the longer you whip it, so I actually did a double whip, cooling it in the fridge for about 5 minutes in between. After you’ve whipped the mixture, back in the fridge it goes. You can let it sit there as long as you want, but I was anxious and gave it only about an hour before I portioned it out among my glass jars. I used 8 oz jars that I bought in bulk on Amazon. This recipe filled up 10 and a half of the jars. Onto the labels – I debated between hanging labels and glued labels, glued won this round so I used Adobe Illustrator to design them. The labels measure 2″x8″ and don’t wrap completely around the jars. I printed these on some thicker cardstock paper and just ran a small bead of super glue down the short ends of the label to secure them. Here they are, all finished! I love that the labels all look the same but are each a bit different. I am so excited to give these out to friends and family – they smell almost exactly like Thin Mints, the texture is wonderful and the ingredients are all natural. As usual, there are so many variations that can be done on this project and overall it only took one day to make and cost about $5 per container. Win. Win. Win. Ho. Ho. Ho. 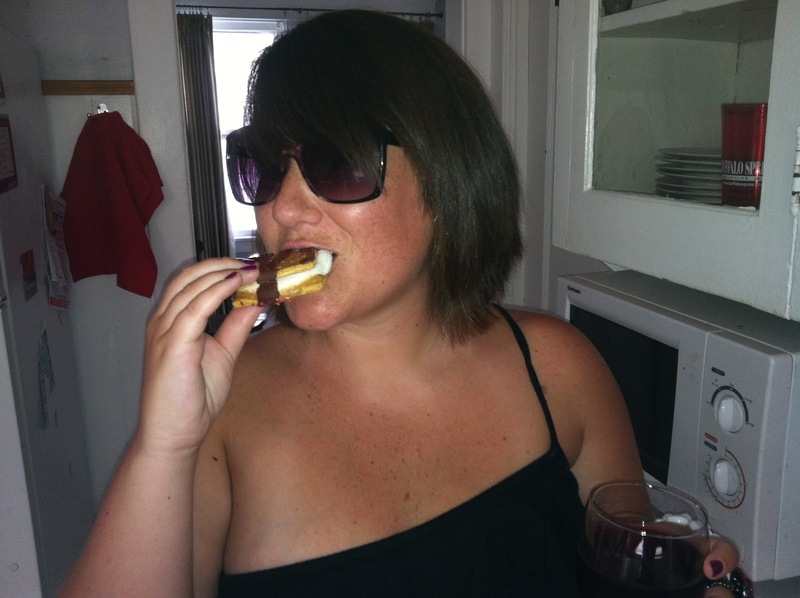 I was having a few ladies over last night for some glasses of wine and laughs and wanted to make an easy dessert. 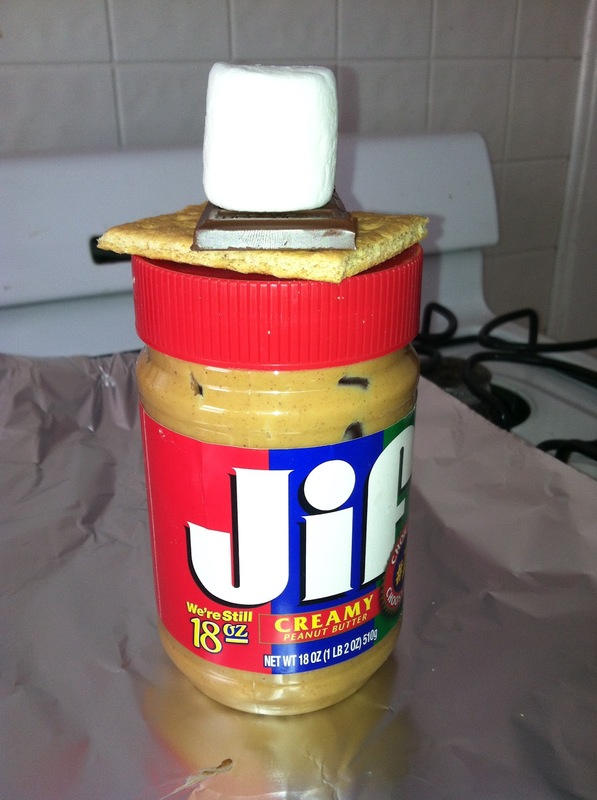 Everyone that knows me knows I hate grocery shopping, so my cabinets are pretty bare, but I had some s’mores stuff left over from a camping trip so I decided to work with that. 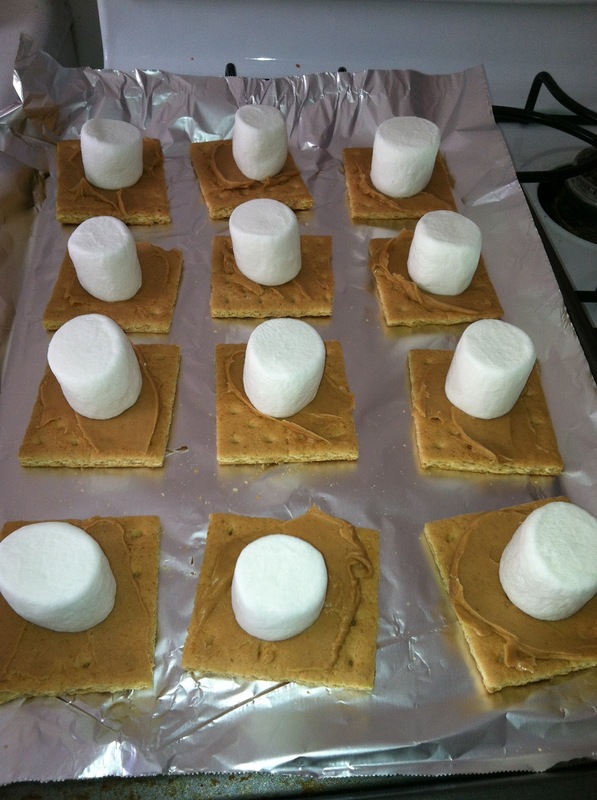 Lay out your grahams and spread a layer of peanut butter on each. Plop a marshmallow on top and put them in the oven at 350 degrees. They only need to be in there for about 5 – 10 minutes so check on them every few minutes and pull them out when your marshmallows begin to expand. 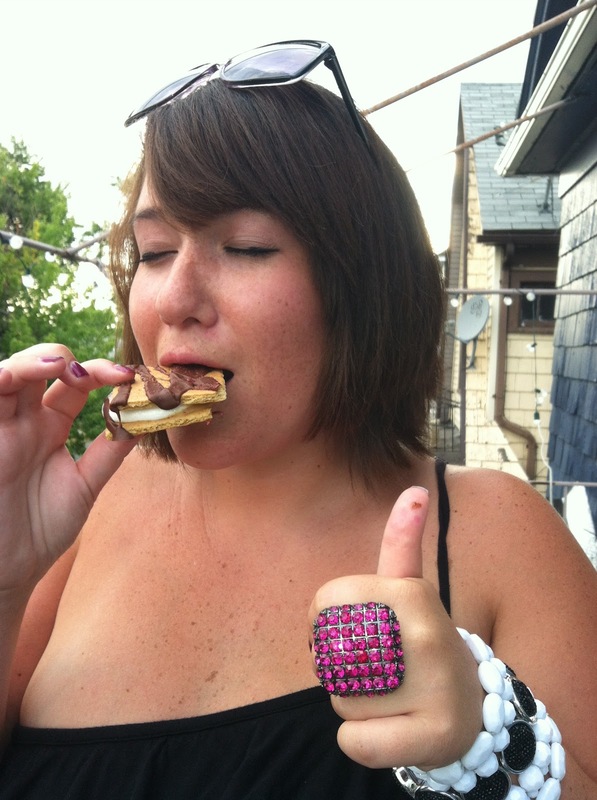 It got a Katie thumbs up approval. 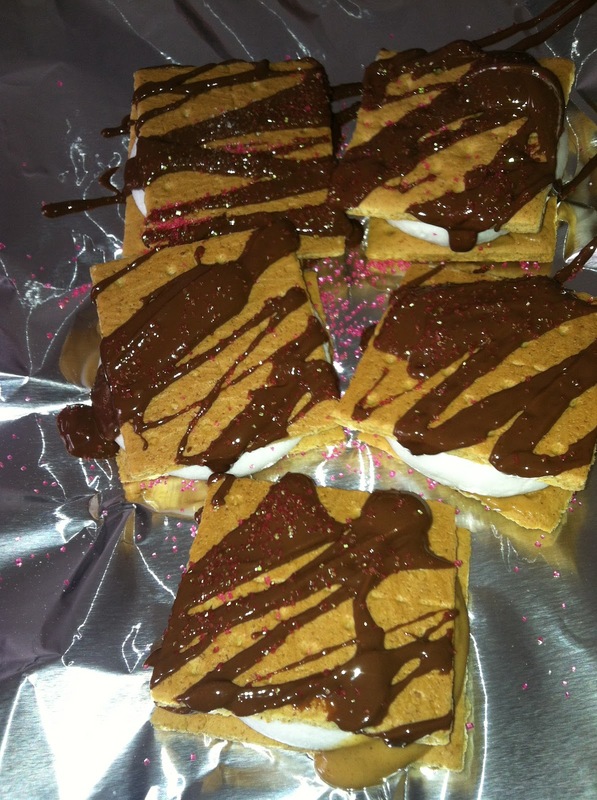 I learned 2 things from making these: 1- I’ve clearly been living a lie because spellcheck just informed me that it is ‘marshmallows’ not ‘marshmellows’. and 2- anything you add peanut butter to just makes it that much better.